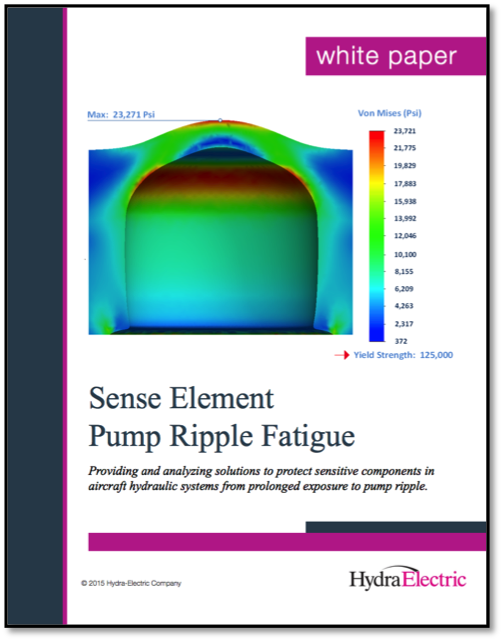 Providing and analyzing solutions to protect sensitive components in aircraft hydraulic systems from prolonged exposure to pump ripple. The hydraulic systems on an aircraft perform various critical functions such as fuel transport and mechanical work through the transmission of fluid. The forces necessary to regulate these functions require a pump, which introduces noise in the form of “pump ripple.” These pump ripples can damage sensitive components along the hydraulic line particularly due to fatigue from prolonged exposure. Many of the pressure transducer series designed and manufactured by Hydra-Electric make use of a special sense element of stainless steel construction capable of withstanding these effects without the use of a snubber.